Supporting striking color and super clarity, the outstanding 6.21″ FullView Display¹ with delicate Dewdrop design shows you an all-around superior view. Sophisticated 3D curved unibody comes with a glossy ceramic-like texture making it fashionable and comfortable in your hand. The new AI scene recognition technology can identify 22 categories and 500 scenarios in real-time for ideal photos². The dual 13MP+2MP cameras³ feature a large f/1.8 aperture to show vivid details and provide a natural bokeh effect for your standout moments. 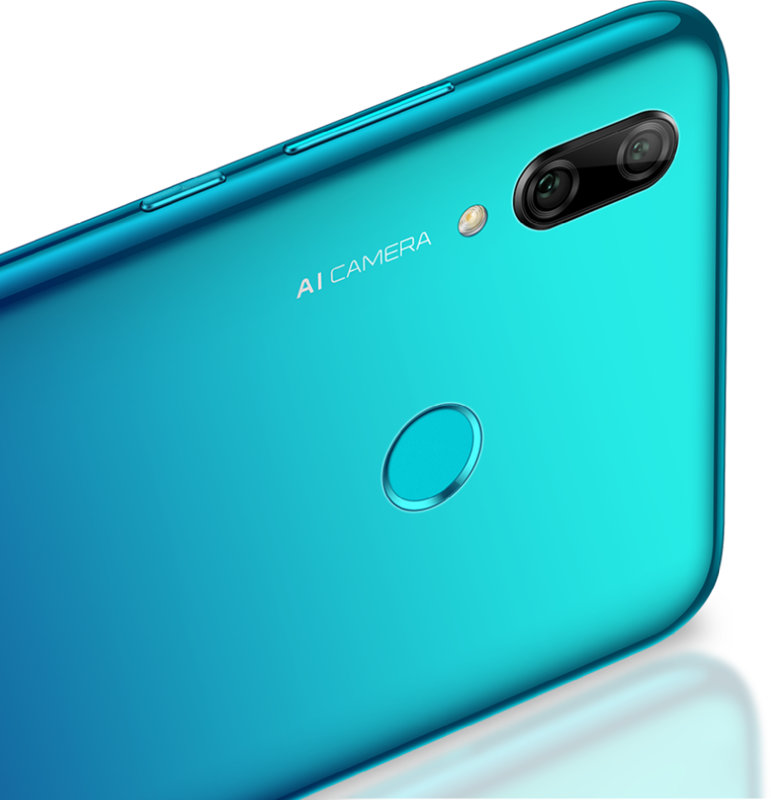 The front camera recognises 8 unique selfie scenes⁴ and optimises your photos in real-time with AI technology to showcase perfect portraits everyday. The advanced Kirin 710 octa-core chipset enhances the running performance to full-speed while the 12nm process technology efficiently lowers power consumption. The GPU Turbo vastly improves overall graphics processing to deliver an immersive gaming experience. Powered by a 3400mAh⁵ large battery, you can battle in intense games or enjoy unforgettable videos with the HUAWEI P smart 2019. The charging speed is increased by 22%⁶ to satisfy your fast-paced lifestyle. Face Unlock gives you fast and secure access to your phone and ensures the security to guard against photo and video intrusion.